Product #60768 | SKU 22024 | 0.0 (no ratings yet) Thanks for your rating! 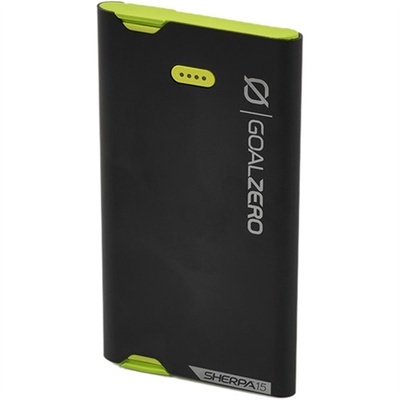 The Goal Zero Sherpa 15 Black Micro/USB-C is a phone recharger with built-in cables for ultimate convenience while charging on the go. Features 3,870 mAh and 2.1 USB output ideal for charging phones, with built in micro USB and USB-C cables.